A sales representative of a mobile phone firm based on Victoria Island, Adetoun Adenuga, says she has yet to get over the torture she went through in the hands of some soldiers from Bonny Camp located along Ahmadu Bello Way, Victoria Island. 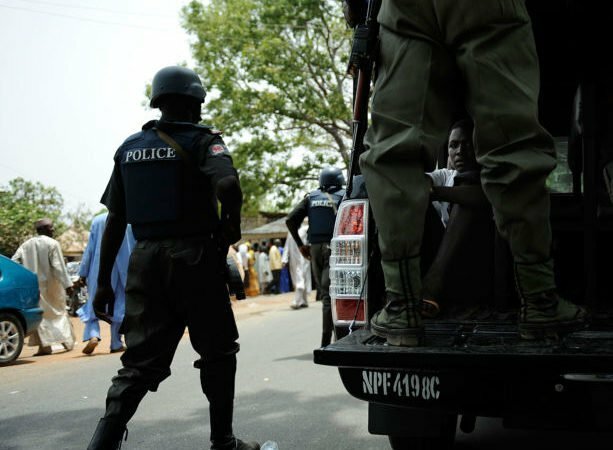 Adenuga, said the soldiers, one of whom she identified as Abubakar D, through his name tag, beat her with a horsewhip and slapped her several times. Our correspondent learnt that Adenuga incurred the ire of the soldiers because she complained that they drove against the traffic along Marina Road, Lagos Island. It was gathered that the woman wanted to cross to the other side of the road around 8am on Friday on her way to work when a Gulf car, with the number plate, LSD 738 DL, conveying the soldiers almost knocked her down. 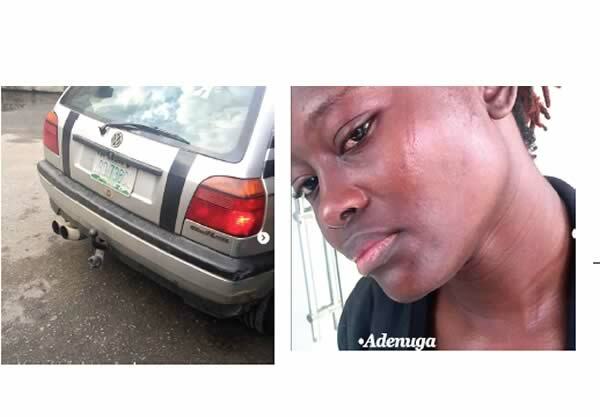 Adenuga, who posted her ordeal on her Instagram page, said she managed to take the picture of the car before the soldiers zoomed off. Sharing her plight with Saturday PUNCH on the telephone, Adenuga said, “I was about to cross the road when a car came from nowhere and almost hit me. The driver was speeding. I was able to escape from getting injured. I asked them, ‘Where are you rushing to?’ I didn’t even know who was in the car. They parked, then I realised they were military men. “When I posted it on Instablog (an online news platform), someone told me to go to 81 Division. When I got there, I was given a military policeman to follow me to Bonny Camp. They have gone to look for the car. I think some of them are familiar with the car. I have the number plate and I can identify the four of them. One of them that was beating me, I got the name on his tag. His name is Abubakar D.,” she added. Adenuga lamented that it was disappointing that the soldiers who were supposed to protect the citizens could unleash terror on her, insisting that they must me brought to book. One Somto Uchendu, who commented on Adenuga’s plight on Instagram, said he witnessed the moment the soldiers were about to assault her. Another commentator, Solomon Buchi, said he recalled a similar nasty experience he went through when he saw the teary pictures posted by Adenuga. “I cried seeing her teary eyed. I also cried the day a soldier beat me up for nothing and told me he would have killed me if he had a gun. Phew. Till today, I remember that scene and I’m scared of having my kids in this country. It’s horrific. God help us,” he stated. Calls put across to the line of the spokesperson for 81 Division, Lt. Col. Laolu Daodu, rang out. He had also yet to reply to a text message sent to his phone asking for comments, as of press time.